Seems like Comcast took notice of the recent news where people complained about data caps, as it didn't allow them to fully use streaming services, and proactively decided to triple it. Currently, Comcast had a 300GB/month data cap, and although that might seem a lot, times are changing and 300GB aren't that they used to be. Just start watching a couple of Ultra HD 4K TV series on Netflix every day, plus some movies, plus some game downloads (that can easily reach 50GB, each) and those 300GB are now something you need to carefully manage - and that's not even considering a household filled with 4 or 5 "intensive" internet users. Comcast itself states that while in 2013 only 2% of its customers used more than 300GB per month, that number has currently climbed to 8%, and that trend should quickly increase in the coming years. So, starting on June 1st, Comcast will raise the 300GB data limit to 1TB per month, freeing most users from the dreaded $10 per extra 50GB should they go over the limit. On the other hand, the "truly unlimited" plan, that was available for an extra $30-35, will now increase to an extra $50 per month. In the end, I think it's a positive change: it's far better to give every customer 1TB of data without surcharges, and charge more for those wanting to use substantially more data; than to make it cheaper for the minority of super-intensive users. 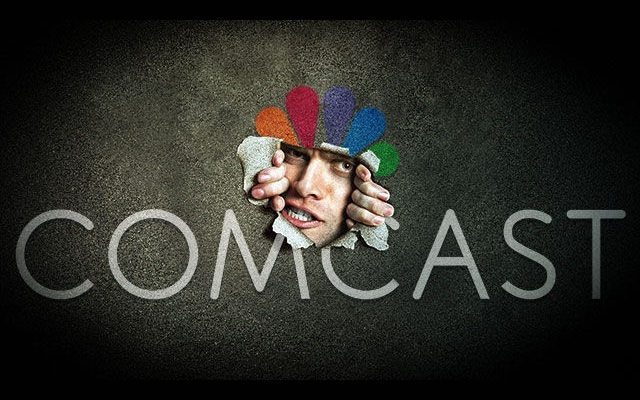 Should you be a Comcast users, you'll be able to stop worrying about going over the data cap limit starting this June.